Some people call them "juice fasts," marketers may bill them as "juice feasts" and others simply consider them a fad. Juice cleanses and liquid-only "detox" diets, such as the so-called Master Cleanse, are a popular health trend among Hollywood celebrities, who often see them as a quick fix for weight loss and a method of flushing "toxins" out of the body. Some plans involve drinking nothing but liquids, while others include some food as a snack or meal. Depending on the type of cleanse, they typically last anywhere from three days to three weeks. For example, people doing the Master Cleanse drink six to 12 glasses daily of a mixture of lemon juice, cayenne pepper, maple syrup and water, for 10 days. At night, they sip a laxative tea. But are these so-called detox diets of liquefied fruits and vegetables or lemonade-flavored drinks helpful, or just plain hype? There are detoxifying enzymes in the liver that break down alcohol and other drugs, and the kidneys handle water-soluble toxins, Applegate said. Applegate described six pitfalls of following such liquid cleansing plans, and their potential dangers. 1. Cleanses are usually low in protein. Many juice fasts and liquid diets involve consuming no protein at all, or have very low amounts of it, Applegate told Live Science. People need a daily supply of protein to build healthy immune cells and regenerate muscle following a workout, she noted. Fruits and vegetables have only small amounts of protein; however, some prepackaged juice plans may include a nut-milk beverage, such as cashew or almond, as one of the daily drinks, which offers a little protein and fat. Consuming fruit and vegetable juices for three days may not be harmful for a healthy person, Applegate said. "But don't be surprised that someone may well get sick because these plans are ghastly low in protein," she added. Older adults may be more susceptible to infections if they attempt a juice fast or liquid diet because they may already have lowered protein stores. In addition, juicing fruits and vegetables removes most of the fiber in them. Eating such a limited amount of fiber as part of a juice regimen won't hurt most people's diets for a couple of days, but it could be a drawback in that it leaves you feeling hungry. Fiber helps people feel full and satisfied, Applegate said. 2. They are also low in calories. Depending on which cleanse a person does, and how many bottles of juice or glasses of "lemonade" they drink, the calories that a person winds up consuming daily can range from about 800 to 1,200 calories. When done for 10 days, the low-calorie intake that comes with doing a Master Cleanse or other regimen could send the body into starvation mode, meaning it will try to conserve calories by slowing down metabolism, because the body is unsure when it will be fed again, Applegate said. Doing a juice cleanse typically reduces calories in a person's diet, and can help people lose a little weight, Applegate said. But when people exclude their favorite foods from their diet for a period of time, they tend to reward themselves afterward, and even go overboard, she noted. Any pounds shed during a cleanse are mostly water weight, and will likely be gained back once usual eating habits resume. 3. People might not feel so great while doing it. While cleansing, people commonly experience side effects such as headaches, fatigue, difficulty thinking, moodiness, stomach pain and hunger pangs. "Be prepared for changes in bowel function andfrequent bathroom visits," Applegate warned. And cayenne pepper, which is used in the Master Cleanse plan, can irritate the colon, Applegate said, making this regimen a concern for people with sensitive digestive systems, such as irritable bowel syndrome. Other side effects of the Master Cleanse may include bad breath, dizziness, diarrhea and a white tongue, according to its website. In addition, juice cleanses are not a good idea for people with diabetes who may be on medication to regulate insulin activity, Applegate said. Drinking so much juice could lead to unstable blood sugar levels. Women who are pregnant or breastfeeding, and people with compromised immune systems or advanced heart, liver or kidney disease should also avoid juice cleanses. 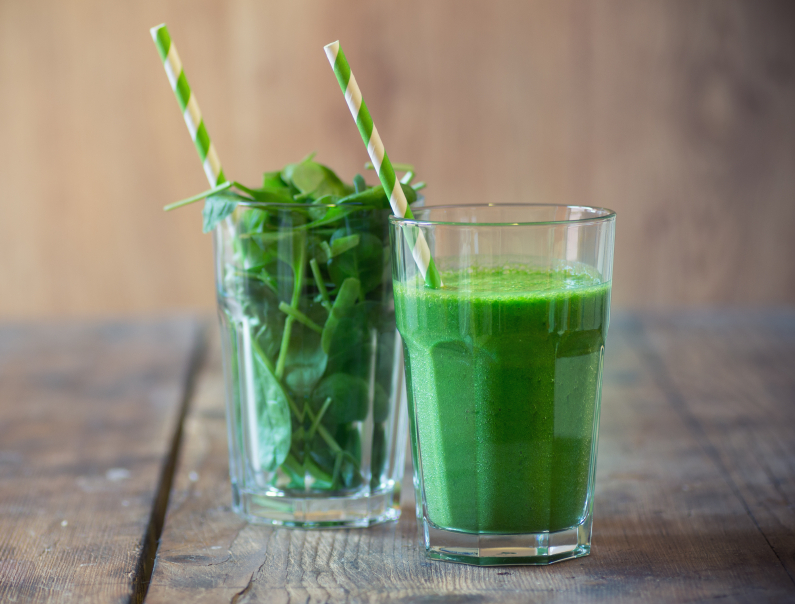 People taking the blood-thinning drug Coumadin should stay away from them because some of the green juices could contain vegetables high in vitamin K -- such as kale, spinach, parsley and celery -- which can lessen the drug's effectiveness. 4. The extremeness of the regimen could be part of the appeal. Completing a three-day cleanse might be extreme, but it's also an obtainable goal, Applegate said. So although it may be hard to do and may feel like deprivation, perhaps the challenge of completing a short-term cleanse offers some psychological payoffs, such as a sense of accomplishment and a belief that harmful substances have been cleared from the body. Still, Applegate said she considers it a harsh diet plan and is concerned about the extremely low nutrient intake, particularly of protein. She said she even dislikes applying the term "cleanse" to these regimens because "there's no evidence that someone is actually getting rid of harmful compounds from the body -- that you're cleansing." A cleanse could be like "The Emperor's New Clothes," where people are afraid to say they didn't really feel better while doing it because they want to embrace the latest health craze, Applegate suggested. 5. Cleanses may legitimize the idea that indulgence should be punished. Billed as a way to "kick-start a healthy lifestyle, "eliminate food cravings" and "reset eating habits," juice or detox cleanses often involve swallowing only "liquid food," as some manufacturers describe it, and not chewing any solid foods for several days. However, research has found that the brain may not register liquid calories in the same way as those from solid food, and the routine could get old fast. Should people clean up their act if they are eating poorly? Sure, Applegate said. And there are benefits to drinking juice if it gets people interested in trying new fruits and vegetables (even if they are squeezed into a liquid), she added. But the problem comes when people who overindulge on food or alcohol feel a need to go to the extreme and punish themselves by drinking only juices, instead of just eating healthfully, Applegate said. 6. The approach is scientifically unfounded and expensive. There's no scientific evidence that juice cleanses are a sensible approach to better health, Applegate said. Cleansing's touted benefits -- from detoxifying the body and resting the digestive system, to boosting immunity and improving mental focus -- are largely anecdotal and unproven. The notion of using these methods to give the digestive system a rest is nonsensical, Applegate said. "The digestive system operates every day to digest foods, and it doesn't need any rest," she said. What's more, many of these plans can be pricey. They generally run between $60 and $75 a day for mostly bottled juices (and that doesn't include shipping).